Asbestos is a deadly substance. When a person ingests or inhales the fibers that escape into the air or a source of drinking water, they can become lodged in a layer of tissue known as the mesothelium where they can cause malignant mesothelioma. Once the American public became fully aware of the dangers of asbestos, there was a push for Congress to outlaw the deadly substance. By the late 1970s, a bill had made its way through congress and the mining, manufacture, and importation of asbestos was banned in the U.S.
Those in the asbestos industry fought this tooth and nail. Even though there was not much of a market for asbestos material in the U.S., they still wanted to manufacture asbestos products and export them for use in the developing nations that did not have environmental control agencies or a large concern for public health. In other words, since these companies could no longer make millions of dollars killing American workers and their families, they would try to make money poisoning people oversees. 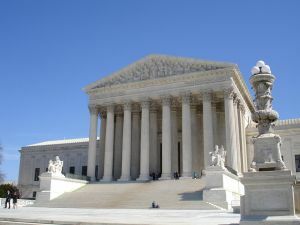 In their efforts to fight this new congressional legislation, they challenged the law in the courts, and it was determined that the law was unconstitutional with regard to congressional power to regulate certain industries. Over the years, the Environmental Protection Agency (EPA) has been able to limit the importation of products that contain more than one percent asbestos, but there is still the importation and sale of some asbestos to this day and, as our Boston asbestos injury lawyers are aware, even a product containing a fraction of one percent of asbestos should not be allowed to be imported or sold in the U.S.
That law that was largely stripped by the courts was the Toxic Substances Control Act of 1976. Now, Congress is working to strengthen that act in a way that creates a total ban on asbestos in a way that will be upheld if challenged in the courts, according to a recent news feature from WCPO News. The White House strongly supports this news legislation and feels that it will significantly increase the strength the EPA has to enforce regulations against asbestos importers and other chemical companies that may be using asbestos products. One of the issues that has been seen in the past is that some other substances are formed in similar conditions to asbestos and have been shown to contain asbestos. For example, vermiculite has similar properties to asbestos, because it is structurally similar and formed in the same geological conditions as asbestos. However, as a result of this, it is common for vermiculite to contain asbestos. Many companies knew this and still marketed vermiculite as a safe alternative to asbestos. Another product we have seen that can contain asbestos is talc, or talcum powder, as it is often called. Even products that are sold as baby powder and listed as not containing any asbestos may still contain asbestos, because less than one percent asbestos counts as asbestos-free under current regulations. It is these loopholes that are allowing companies to continue to import and sell asbestos products, despite the known dangers and existing laws that Congress is hoping to prevent in the future.